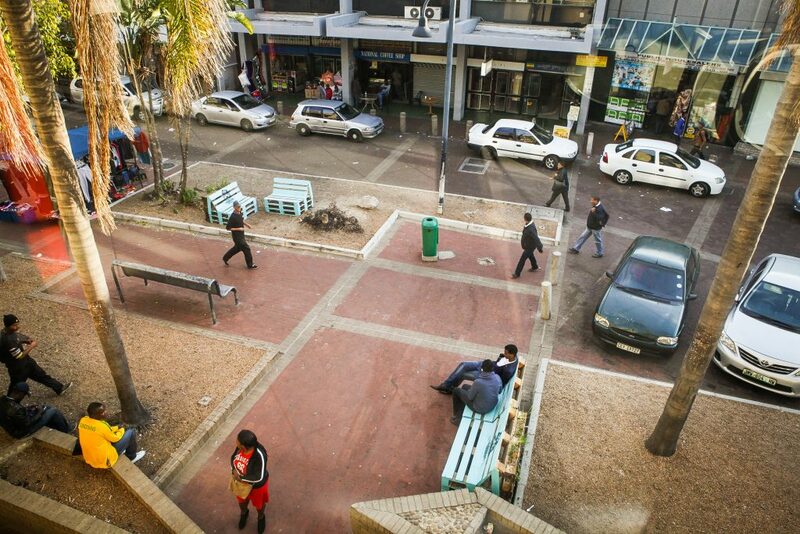 In 2013, Open Streets Cape Town (OSCT), began hosting car-free days in neighborhoods across the city. 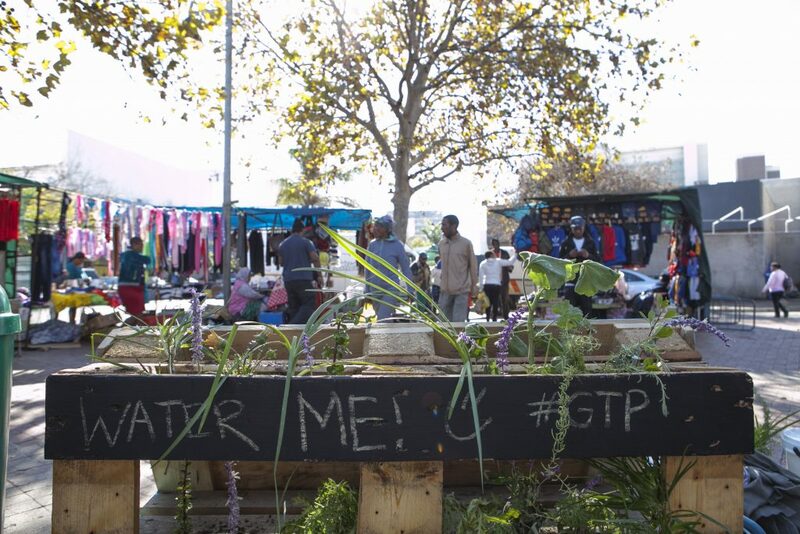 The success of Open Streets was particularly meaningful in Bellville, an area with a reputation for being unsafe and unattractive, and it inspired a local nonprofit—Greater Tygerberg Partnership(GTP)—to experiment with LQC ways to reach their mandate to improve Kruskral Avenue. OSCT welcomed the initiative, named the B4 Campaign. Together with GTP, OSCT arrived at an experimental pilot vision of a seating area in the corridor that could add comfort and purpose to the site, invite passersby to linger, and offer refuge to those feeling intimidated by fast-moving cars. 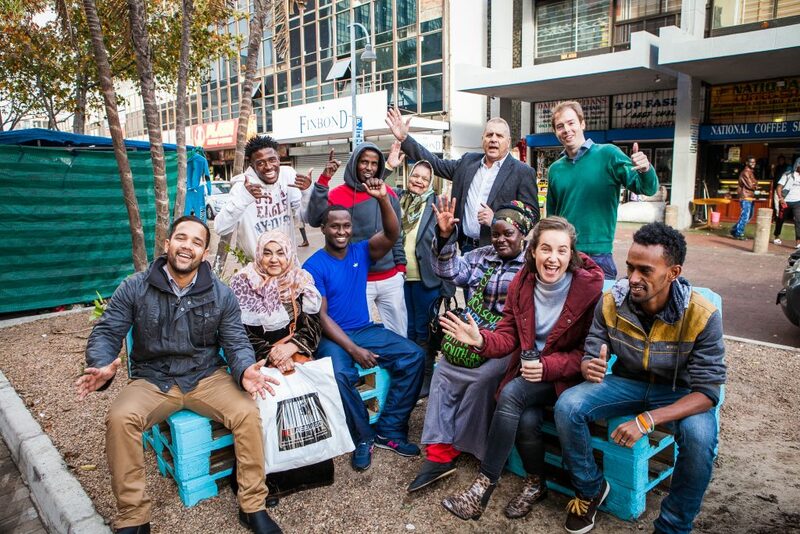 The intervention is made entirely of pallets, assembled locally by Maker Library into benches and vertical gardens. The team hoped the intervention would enable other possible improvements in the corridor as well. Since its launch in summer 2016, the intervention has received a lot of positive feedback, and most importantly, it has encouraged users to reimagine Kruskral Ave as a destination. The intervention utilizes simple wooden pallets. The team painted benches in a bright blue and the garden boxes were labeled with signs inviting users to water the plants, creating a sense of participation and ownership between the community and the intervention. The intervention took just three months to organize and implement. A key aspect of this quick turn-around was the strong relationship between its organizers and local government. The partnership allowed OSCT to avoid waiting on permit approvals. The project operated on a small budget of just $2000. On April 22nd, Milwaukee was announced as one of the six 2015 Heart of the Community cities. Over the next six months, the local project team and PPS used “Lighter, Quicker, Cheaper” (LQC) Placemaking principles to ensure that the The Spot 4MKE continued to be a collaborative, inclusive, and community-led project. Lighter, Quicker, Cheaper (LQC) is about finding immediate and effective solutions for improving public spaces.